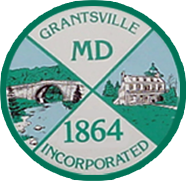 Grantsville is located in north-central Garrett County, Maryland. The town is about 30 miles northeast of Oakland, 20 miles west of Cumberland. Grantsville is home to approximately 1,000 people who enjoy easy access to five state parks, as well as Interstate 68, which makes travel to the "big cities" of Baltimore and Washington D.C. a three hour drive. The popular Deep Creek Lake area is only 20 short miles from Grantsville as well. Not only does our climate allow for four seasons of outdoor recreation with world class white-water rafting nearby and excellent cross-country skiing, but we are very close to the Great Allegheny Passage for those who enjoy hiking and biking and a new trail, the Continental Divide Loop, will enter into Grantsville and tie us in with that network very soon. Our students are fortunate to have one of the state's best educational opportunities. Grantsville Elementary School consistently does well on statewide testing. Northern Garrett Middle School consistently does very well on state tests and has had a State Teacher of the Year award winner. Our local high school, Northern Garrett, is among one of only a few high schools in Maryland to receive a prestigious U.S. News and World Report Silver Medal several times and was named a Blue Ribbon School by the Maryland State Department of Education in 2014!